MFM FC and FC Ifeanyiubah yesterday maintained top spot in Group A and B respectively in the NPFL. 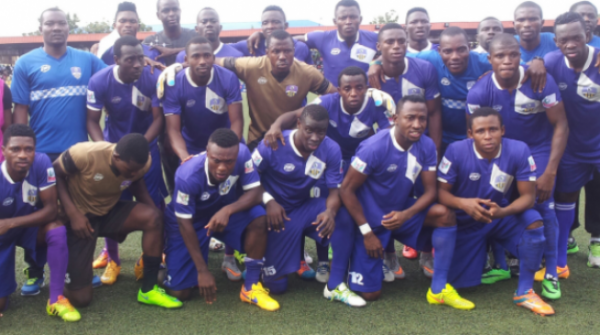 In Group A, MFM FC had to fight back from two goals at home against struggling Niger Tornadoes to win 3-2. MFM FC was 2-0 down after just nine minutes, but thanks to a stoppage time winner, by Chuks Kenedimum they completed a remarkable comeback. They now have 15 points from seven matches. FC Ifeanyiubah maintained top spot in Group B after a 1-1 draw at closest rivals, Heartland. They have 15 points from eight matches, while Heartland have 13 points. El Kanemi Warriors are now second in the standings, with 15 points from eight matches after a 1-0 win over Abia Warriors.